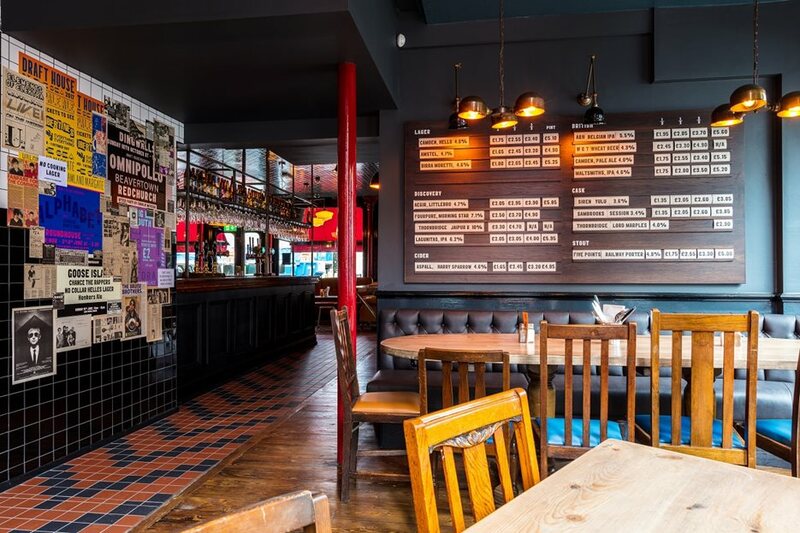 If you find yourself in Camden looking for the perfect spot for a pint and a bite, head to Draft House by Camden Town. The pub celebrated its first birthday recently and has definitely settled into the Camden pub scene, offering wandering visitor, students living in the area and commuters falling out of their offices come 5.30pm a place to catch up, try a variety of beers and drink into the early evening in this bustling area. We went along to try out Draft House for ourselves one evening. With a beer in hand and great music over the speakers settling us into the post-work wind-down, we find a cosy spot out front as we catch the last of the summer sunshine. The pub sits in a great spot, just opposite Camden Road Overground Station and 5 minutes' walk from Camden Town. Prime people watching territory, Draft House is the ideal place to watch the world pass you by and grab a bite to eat from the pretty hefty and delicious sounding menu. As orders are brought out around us, the irresistible smells waft their way to our table and we opt to share a starter to whet our appetites. The Jalapeno Mac ‘n’ Cheese Balls & Smoked Chipotle Mayo are delicious – steaming hot, not oily in the slightest and a great snack before we get into the main meat (literally) of our meal. 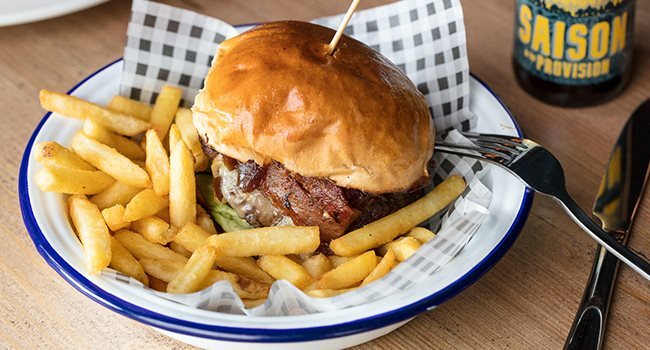 Seeing as our Portico Places deal is all about burgers, we opt for a burger option – going for The Beef Smoke and The BFC Burger with a 'boat load of fries' (!) and some onion rings on the side.The Beef Smoke really hits the spot - the layers of pickles and the chipotle mayo sauce make this maybe one of the best burgers I've had in London (and I'm a burger snob!). Scoffing all my onion rings and most my friend's fries, I'm stuffed. By the time we’ve finished our burgers, and several more beers, there’s no room for dessert but Draft House can rest assured that we’ll be back for the ridiculously delicious sounding Monster Cronut to Share!? Don't miss out on a visit to Draft House and why not treat yourself with £5 burgers Monday to Friday between 12pm and 4pm at the Camden or Westbridge Draft House now!